Help us keep the pressure on by supporting our ongoing work! The Universal Sea continues to take a leading role in combining the strengths of artists, innovative businesses, and everyday plastic warriors. 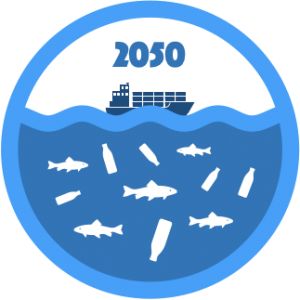 By 2050 it is predicted that there will be more plastic in the earth’s water than fish. Image credit: Thomstastic. This year we are producing a guidebook which combines our passion for aesthetic design, with an exposition of the work of artists and businesses, as well as practical advice which can be taken forward into everyday life. Whoever you are, we’ve put something in there for you. We need as many heads and approaches to be put into the solving the plastic epidemic as possible. Because, no matter who you are, the plastic is in your water. You can support this action by pre-ordering copies of our book HERE. Donate now to support the realisation of our project! Donations to our project are tax deductible for (German) residents and corporates! We welcome all participants in our movement to push forward change! Every donation counts, no matter how big or small. We thank all of you! All donators will be listed in our partner section.